From then on go to the website of DAZN or use their app if supported. Please see supported devices between DAZN and Unlocator at the bottom of this page. For sports fans who reside in Germany, DAZN is a great source for the latest live football matches. The new sports channel offers exclusive coverage of the NBA, NFL, Formula One, Ligue 1, Serie A, and La Liga. 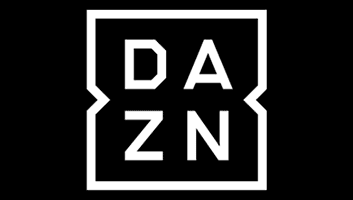 DAZN, however, is not available in regions outside Germany, Austria, and Switzerland. German expats residing in France, Italy, UK, the USA, Canada, or Australia will get a geo-error message. “DAZN ISN’T AVAILABLE IN THIS COUNTRY.” It basically informs them that DAZN is geoblocked in their region. This is where a Smart DNS provider like Unlocator comes in. Get your free Unlocator trial account to watch DAZN anywhere. Whether your favourite team plays on the Serie A, La Liga or Ligue 1, Unlocator has a very simple way of ensuring you get to watch those games live, regardless of wherever you may be. It works by spoofing your location. That way, DAZN is not able to point out where you’re accessing their site from. Neither your public IP address nor your Internet speed changes in the process. This helps you watch live geo-restricted sports events without compromising your streaming quality. You can configure Unlocator DNS on your Amazon Fire TV, Android, iPad, iPhone, OS X, Ubuntu, Vista, Windows 10, Windows 8, Windows XP. Furthermore, you won’t need any additional software to get it up and running. Just in case you run into any unforeseeable issues as you install Unlocator, you can contact our support team by filling this form. There’s a free 7 day Unlocator trial account you can sign up for. You will be able to unblock DAZN as well as almost 220 other streaming channels from around the globe. No credit card info is needed for the registration. In other words, you can try out the full Unlocator service free of charge for a whole week.